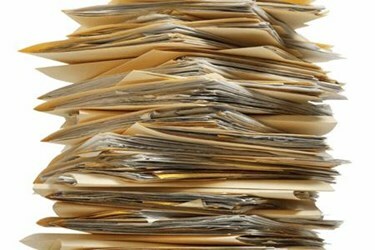 In regulated environments, companies are expected to establish procedures for document change control as a way of ensuring product quality and safety. Any changes made to the product, system or facility, (e.g., manufacturing, processing, quality assurance/quality control, information technology (IT), etc.) need to be documented in a timely manner. Changing existing or creating new documentation typically involves multiple disciplines and can have long lead times. A biotech company contacted CRB to study its Global Documentation Change Control Process for its manufacturing sites located in North America and Europe. Three document types were analyzed and mapped: batch production records (BPRs), solution lot records (SLRs) and standard operating procedures (SOPs). These document types were further organized into three categories based on the complexity of change required: best case, medium case and worst case. Actual system time stamps and estimates for hands-on time to complete each task were gathered. Current state value stream maps (VSMs) were created for the aforementioned document types. It was observed that the lead times were a function of the complexity of change required and number of people involved/impacted by the change. The time required to change the documents was also highly variable. The lead times for BPRs, SLRs and SOPs ranged from 13–35 days, 16–40 days and 10–100 days, respectively. Additionally, lead time differences between sites were also detected. A two-day, on-site Kaizen event was conducted at one manufacturing site. This Kaizen event was attended by representatives from all manufacturing sites. During this Kaizen event, the current state maps were reviewed, improvement opportunities were brainstormed and a future state was developed. Some of the top contributors to the lead time were attributed to large number of reviewers involved, unclear definition and inadequate training on initiator’s/reviewer’s roles and responsibilities, insufficient training on system capabilities, reliance on several systems that did not communicate with each other to successfully complete a workflow, lack of metrics and agreed turnaround times. Replacing the current IT systems was considered to be unviable due to cost. Subsequently, two future states were generated: intermediate (attainable) future state and ideal future state. Three intermediate future state VSMs, one for each document type, were created. Only one overall ideal future state VSM was developed. The intermediate future state represents the state of operations that the company staff agreed to realize. An implementation plan was developed to realize this state. A pilot study was designed to ensure that the proposed changes were feasible and attainable. This pilot study helped identify some implementation issues, which allowed CRB and the client to alter some procedures. The VSMs were updated to reflect these changes. By implementing these identified changes, the client reduced its BPR, SLR and SOP change control lead times by 50% to 90%, depending on the document type and complexity of the document change. A champion from each site was also identified and deemed responsible to maintain the VSMs and sustain these changes.